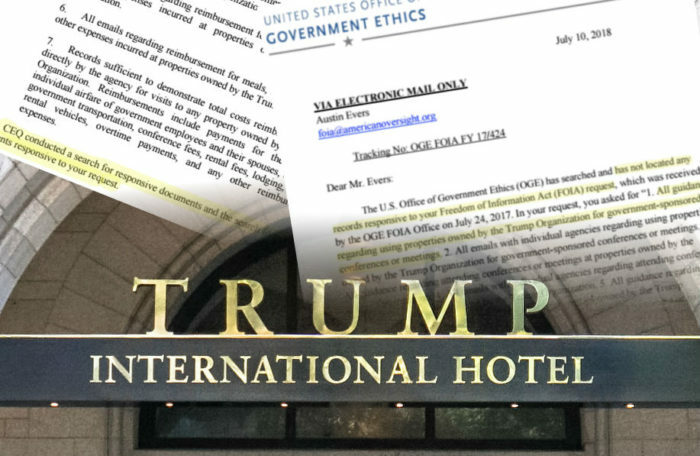 American Oversight requested that government agencies provide copies of ethics guidance for spending taxpayer money at Trump-owned businesses. A year and a half later, no office has provided records, and more than a dozen have said they had none. The Department of Labor's response to American Oversight's FOIA request (MULTI-17-0252-274) for guidance or emails relating to events at Trump properties or reimbursements paid to employees for expenses at Trump properties; records of the total cost of payments or reimbursements for expenses at Trump properties.